A duty of care exists for those who own and occupy buildings or other spaces that are accessible to the public. The owner has to ensure it is safe for all to use. This applies to properties such as shops, supermarkets, leisure centres etc. 1) The matter logged in an accident book. 2) Try and get names of witnesses and if possible photographs of the causal factor – for example an unmarked wet slippery floor. Following an injury we understand you want to get the best treatment. Nationwide Personal Injury Specialists recommended solicitors can help you with the best route to take to get you back to health. They can make referrals to doctors and specialists depending on your needs to make sure you are treated properly and recover as quickly as possible. 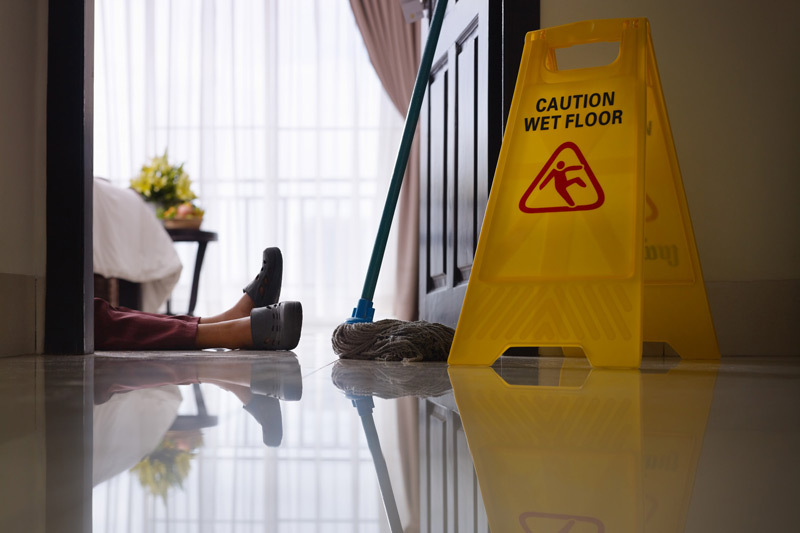 If your injury means you will be off work for a period, and therefore you lose income, including overtime, our recommended solicitors we will be able to guide you on the records you need to keep and evidence you need to collect so that we can add this to your claim, and seek to recover it for you. If you also have expenses for miscellaneous items, like travel costs, phone calls etc our recommended solicitors will seek to recover these on your behalf.